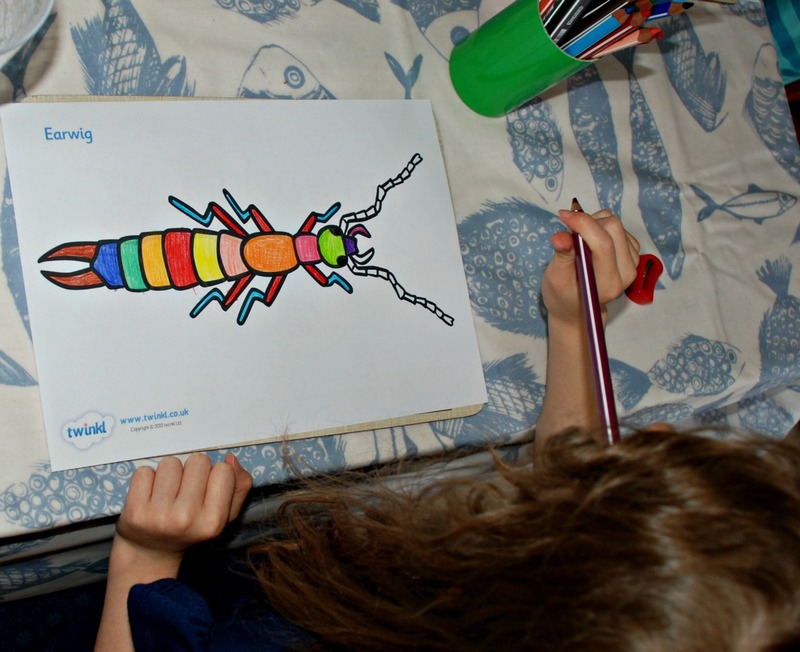 The kids have been loving all the gardening and as a result we are going through a bit of a minibeast craze again – seems to be a spring / summer theme in our house. 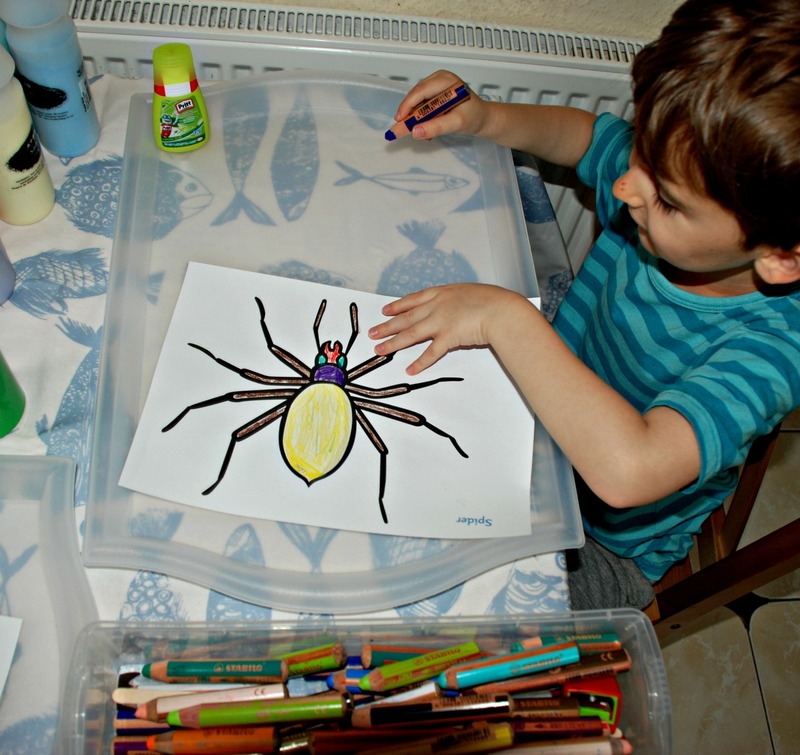 So when I was wanting to get my youngest to do an art activity I knew a minibeast theme would be a big hit with him. 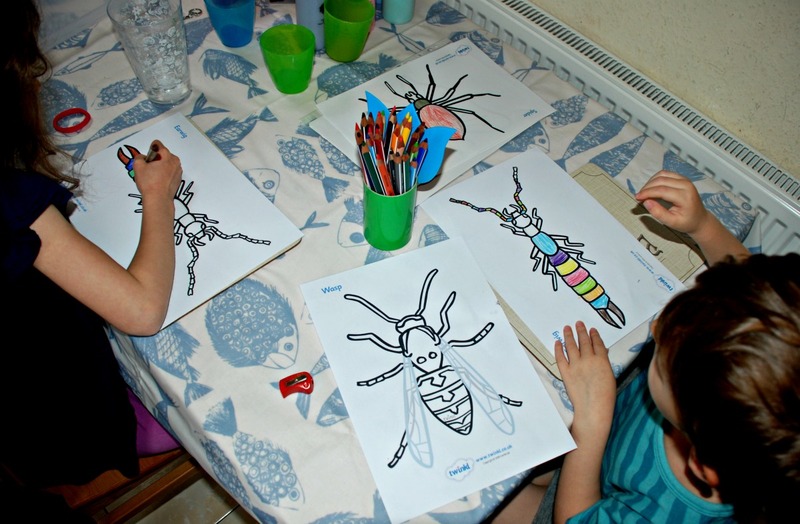 I set out the Detailed Minibeasts colouring sheets from Twinkl (free) some Pritt all purpose glue bottles and some of our coloured sand. I had a sneaky suspicion that the kids would want to dive in with the glue and the coloured sand so I did an example of a butterfly for them. I did one half by colouring it in first before adding the glue and sand and then the other half without colouring it in. My example was exactly what the kids needed and they decided for themselves that they wanted to first colour in their pictures before they added the glue and coloured sand (Big Win for any mom with kids who are not excited about colouring in). 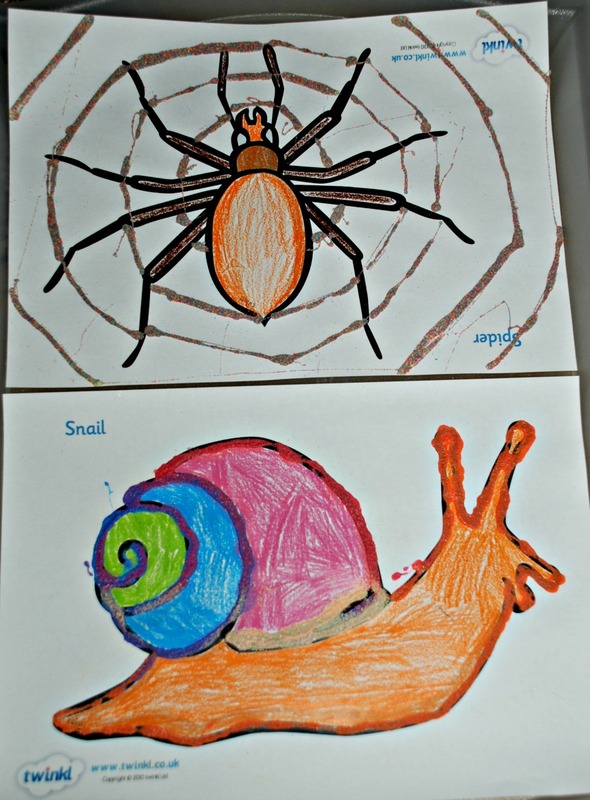 My little man went for a spider and my daughter went for a snail (we currently have a pet snail so she is loving all things snail related). After they finished the colouring we added the glue and sand art. The Pritt all purpose glue bottle was prefect for this. Both my kids found it easy to manage and they used it very effectively to trace over the outlines without spilling too much glue. 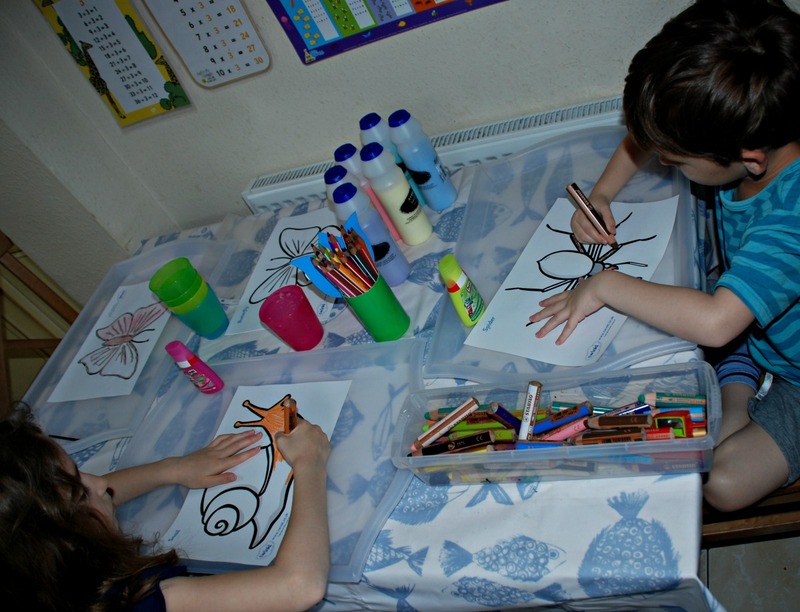 Also there was no overpowering smell so both kids where happy to sit for ages and work on their projects (in the past when we have tried something which had a very strong smell my kids would quickly finish and get out of there – no lingering to do extra pages like they did this time around). We have used the coloured sand a number of times before, so we have learnt by lots errors what works best when using it in our home. We keep the pictures on trays so as to avoid excess sand going everywhere and they use one colour at a time. Once they have finished with the sand they tip the excess coloured sand into small plastic cups so we can re-use it later for another project – I am very big about keeping every small bit of left over art material to re-use at a later time. Both kids love the sand art and produced lovely pictures. I expected them to finish just one each but they thought it would be fun to use the coloured sand to make a spider’s web so we did an extra sand art picture together. 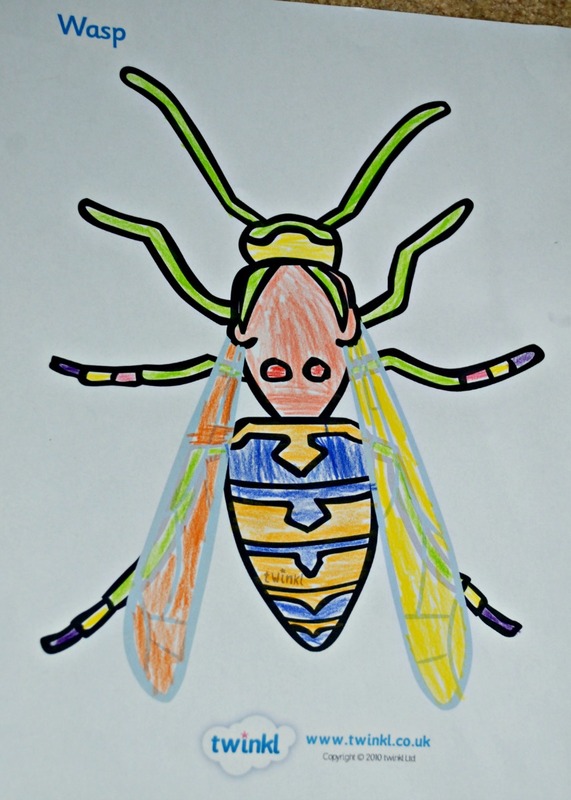 And then they continued to colour in more pictures – 2 earwigs and a wasp. Yes I did mention earlier that my kids are not big on colouring in. But I have picked up a few tricks along the way to encourage it and some days when I manage to get everything just right they will sit and produce art work after art work. 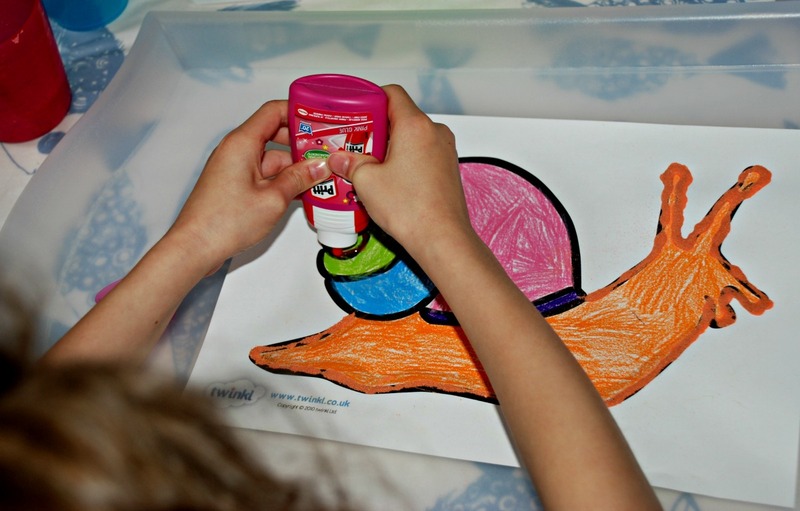 I was sent a lovely bag of Pritt goodies for my kiddies to use and the All purpose glue bottles that we used in this activity was part of the bag. 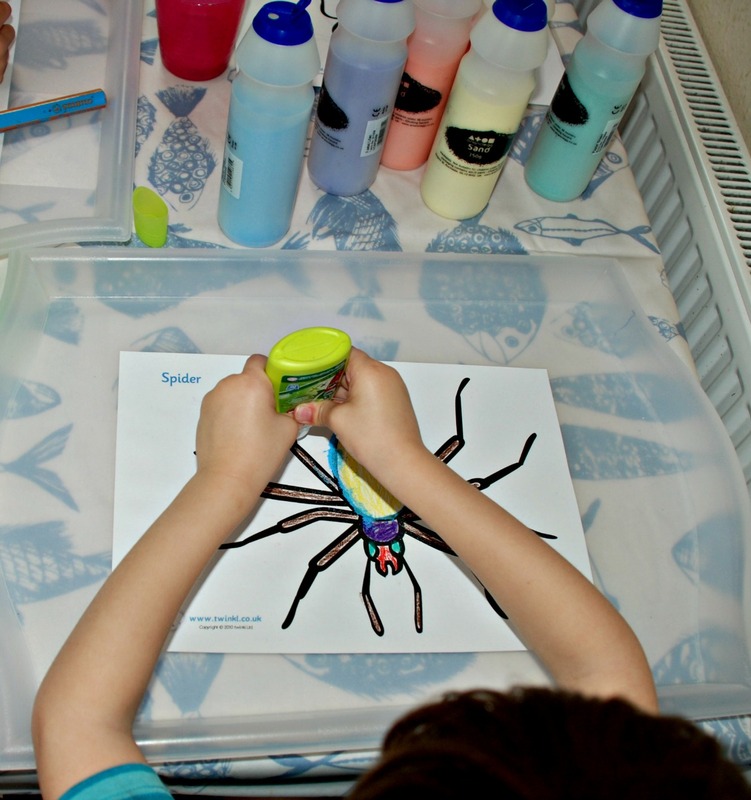 This entry was posted in Art and Craft Ideas and tagged children's art, children's craft, free printables, home ed, home education, Minibeasts, Pritt, sand art. Bookmark the permalink. Oooh, I love all the different materials and techniques in this art!